​Regardless of the weather, your home's heating and air conditioning system have a direct effect on your daily life. A broken air conditioner in the summer, or a broken furnace in the winter can cause an undo amount of stress in your life. If your experiencing an HVAC issue, the professionals at Supreme Heating & Air Conditioning have the experience and knowledge to solve your heating or air conditioning problem. Whether you need an ac repair, ac replacement, new ac installation or ac maintenance, we've got your back. Central ac not working? We can fix it. Furnace on the fritz? We got you. Our experienced HVAC technicians have the expertise and knowledge to repair your heating or air conditioning system. We love providing affordable heating & air conditioning service to the residents of Summerville, Ladson, Goose Creek as well as Charleston and the surrounding area. Our HVAC contractors get the repair done right the first time! There are plenty of HVAC companies you could choose other than Supreme Heating & Air Conditioning, but we are 100% confident that we are the best heat & air company for you! You can put your mind at ease when you choose us. We have the experienced ac technicians you are looking for. With more than 20 years experience working on central heat & central air conditioning units, we provide the superior knowledge, and service you expect from a heating and air conditioning company. We're different at Supreme Heating & Air Conditioning! How, you ask? Our quality service, including energy-efficient heating and air conditioning, is second to none. Our optional Maintenance Saving Plans makes our services even more affordable! If you're like most homeowners, your budget is probably already stretched to the max. HVAC repairs shouldn't have to put you over the edge. Our reputation has been earned by providing affordable air conditioning service that is as reliable as it is affordable. In addition to ac repairs, we can replace your existing ac unit, as well as offer on-going ac maintenance. Our ac repair technicians are thorough when diagnosing your broken air conditioning unit. 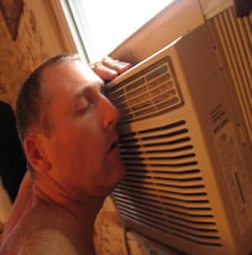 Our goal is to fix your broken ac without having to replace your entire air conditioning unit. If your ac unit does need to be replaced we have many affordable energy efficient HVAC systems to choose from. 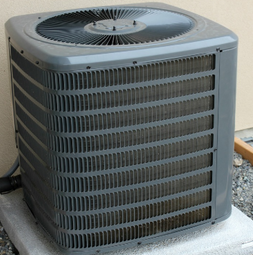 ​Ignoring air conditioner noises, or problems typically only leads to bigger air conditioner problems. Regularly scheduled AC maintenance is the best cure for unexpected expensive air conditioning repairs down the road. If your ac is blowing warm air, if the ac coils are frozen, if your ac unit is not cooling, or the ac fan has stopped, you'll need to call us as soon as possible. You may have low freon or a failing ac compressor. Is your ac unit making loud noises that sound like grinding or squealing? This may be a sign of damaged bearings, inadequate lubrication or some other type of hardware issue. Don't wait any longer. Call Supreme Heating & Air Conditioning right away so we can diagnose and repair your ac issue before it gets any worse. When is the best time to install a new air conditioner? Before you need it! If your existing ac unit is between 10-15 years old, it's probably time to start shopping for a new ac unit. Why? Because most older ac units are not as energy efficient as the new air conditioning units on the market today. Our experienced ac technicians can help you decide which type of new air conditioner is best for your home and budget. If the ac unit is too large, it will waste energy, and not be able to properly remove the humidity in your home. Too small, and the ac unit won't be able to reach the cooler temperature that you desire on hot summer nights. Call Supreme Heating & Air Conditioning today for your Air Conditioning installation needs. Is that your furnace making weird noises or is that your teeth chattering? Teeth chattering is the number one sign that something is wrong with your furnace, that and cool air blowing out of your vents. 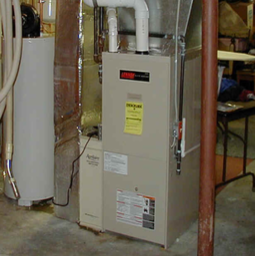 Our knowledgeable and experienced heating repair technicians can diagnose and repair your furnace. Are some rooms in your house warmer than others? Is your furnace clanging? Maybe your heat pump is malfunctioning? No matter the issue is with your furnace our Summerville furnace repair experts will have you warm and toasty in no time. Whether you need your furnace replaced or repaired, call Supreme Heating & Air Conditioning today and our heating repair professionals will have your furnace repaired quickly and efficiently. ​One of the major components in your home, a new HVAC system is a large investment. Be sure to hire an experienced licensed, insured and bonded HVAC contractor for all of your heating and air conditioning needs. Ask for references, get a second opinion, and check company reviews. We pride ourselves on our reputation in Summerville, Ladson, Goose Creek, and the surrounding areas. Supreme Heating & Air Conditioning offers comprehensive HVAC services including HVAC repair, and HVAC installation. 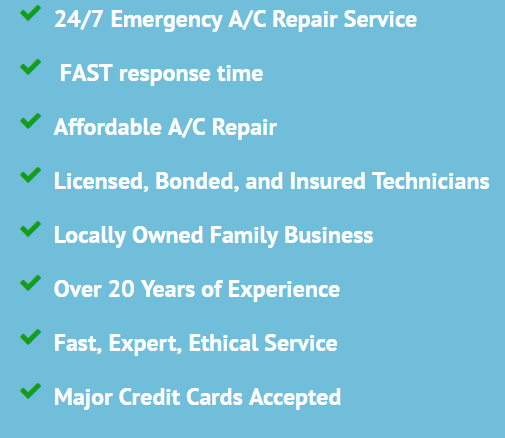 You can call us for 24/7 ac repairs or heating repairs at 843-970-3232. Call us today at Supreme Heating & Air Conditioning for all of your Heating & Air Conditioning needs!